You are one of the best. That’s why you started your own company – you can make it better than these other guys. Besides, you can be your own boss and only deal with the projects you like. In the beginning, it felt great. You had all the freedom in the world, and there was nobody to piss you off. Then, life happened, and suddenly you were drowning in poorly-managed projects and tasks that required your attention. You pushed harder, just so you keep up, thinking that it wouldn’t last too long to get back on track. But it never got any better. As a matter of fact, it gradually got worse, to the point where working 60+ hours per week felt normal. As much as you enjoy working, you can’t skip dinner forever. Your kids will need you more as they grow. Your loved one won’t support you for years to come. You need to put your stuff in order. That’s why you decide you need to take some project management classes or read a few project management books. Creating the right project management board for small business owners can be a challenge. You’re too small to seek professional help, and you’re too big to rely solely on email. That’s where most owners start introducing spreadsheets to track assignments and major deliverables. You do it also. This brings a bit more structure to the working process, but it rarely succeeds in the long run. It’s just too tedious to maintain, and it’s detached from the primary source of work, which tends to be the email. You ditch the spreadsheet. When the spreadsheet fails, it’s time to try some of the popular project management tools for creating your advanced project management board. Some of them offer reasonable packages for small business owners and their teams, which is definitely an upgrade compared to the good old excel. Most of them offer email integration in a sense that email is imported into the system and converted to a task. However, they all fall short when it comes to follow-up communication with the sender of the original email. In other words, converting the email to a task is just a small part of the management process. After some time, you either get used to the weird ways this app handles email threads or you simply quit using it. “It shouldn’t be necessary to copy emails manually”, the vendor says, but it does happen for some reason. It’s just the way these apps are built – they don’t integrate with email natively. What’s next? Well, it’s your lucky day today, we’ve got something for you. Simply put, too many things fall through the cracks and that’s a recipe for unhappy customers. As a small business owner, the last thing you want is unhappy customers. In some extreme cases, a single raging customer can cause significant damage to your brand and respectively to your income. You must strive to generate happy customers and to have a reasonable project management board approach is a necessary first step. How do you come up with your Project Management strategy? Being in the project management business for many years now, we know that there’s no one right way to do things. Moreover, sometimes the remedy for one company could be the harm for another. That said, the preferred approach is always custom – the one you build yourself. Only you know your context well enough to design a solution that actually works. But don’t be tempted to implement something that works for your friend. It might not work for you. A much better strategy is to develop a deep understanding of some work principles and then design the solution yourself. Throughout this article, we would like to share some of the principles that we find truly important. They can get your company to the next level. • Principle IV: Responsible Delegation. This one is simple and comes directly from the Kanban method. Defining your workflows in a highly visual way and using Kanban cards to represent projects or tasks is by far the most convenient and efficient way to manage work. It’s just human nature – we perceive a significant part of the world through our eyes, and we can’t ignore this fact. Maintaining a single source of truth for your project management activities is common sense, but you’d be amazed how many small business owners ignore it. They use email, spreadsheets, task management software, and paper to keep track of everything. That’s a mess – you need one and only one place to store information. Otherwise, it’s just a matter of time before you drop the ball. This one also comes from Kanban and partially from Zero Inbox. The rules are simple – whatever you work on, keep it to the absolute minimum. Do not start more than a few things at the same time. If you do work on too many things simultaneously, you’re bound to switch between tasks all the time, draining your energy and ultimately sacrificing your productivity. At the same time, do your best to keep your backlog empty. If you leave dozens of emails or tasks sitting on your TO DO, you’ll get demotivated and confused about what to do next. Even if you’re managing projects in a small business, you’ll often need help from colleagues or third parties. Most of the time you’ll use email, phone or a chat tool to ask someone to do something for you. Once you submit the request, how do you know what’s going on? Well, you usually don’t or even if you do know, there’s no way for you to track what actually happens. There’s a better way to do this, and we call it “Responsible Delegation.” Responsible Delegation is the act of requesting work from someone by using tools that provide transparency about the progress. These could be team collaboration tools or specialized project management systems designed to optimize the interactions of a small business with its stakeholders, customers or employees. Taming these four principles and blending them into a custom project management system for your business can be rewarding. If you do so, it is very likely that you remove “small” from the “small business owner” title. Now is the time to mention that Flow-e was built from the ground up to support these principles. 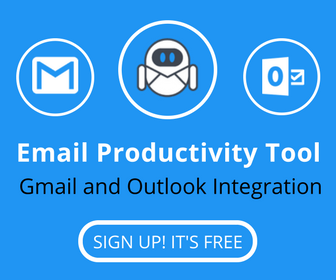 It is not a separate tool, but something that upgrades your existing email inbox. We add some magic but the data never leaves your inbox, and therefore you don’t have to switch tools anymore. Flow-e is email-native, which means that it was built on top of the email. This makes it possible to have your normal email communication from within a project management system that is also your email inbox. Not to mention that the “visualization” and “limiting work in progress” principles from Kanban come built-in as well. Amazing, isn’t it? You must try it now!